According to the report, Swing Copters will be released on 21 August as a free download, with players able to pay $0.99 (£0.69 in the UK) via in-app purchase to remove advertising from the game. Nguyen has stated this in his tweet that the new game will be released for iOS and Android devices. How does Swing Copters move on from Flappy Bird’s famously-difficult one-tap gameplay? Well, it moves upwards. 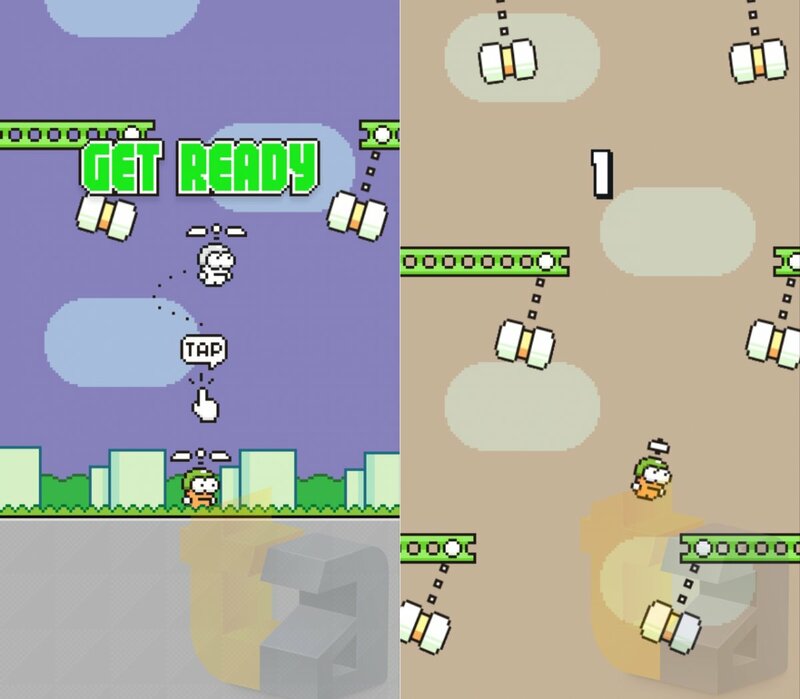 While Flappy Bird was a horizontally-scrolling game that involved tapping to make its hero flap, Swing Copters scrolls vertically, with players tapping to make a propellor-hat-wearing character move from side to side, avoiding platforms and swinging hammers. Thanks Man, Great news. Hope the new game is as awesome as Flappy Bird was.